Microsoft Outlook is an email client that provides useful email services to its global users. At the same time, it stores the complete email data into the system of the user. Due to the security of data, more and more people are turning into Outlook users every day. Now, if users want to move data to Outlook from other email clients, they have to perform data conversion. 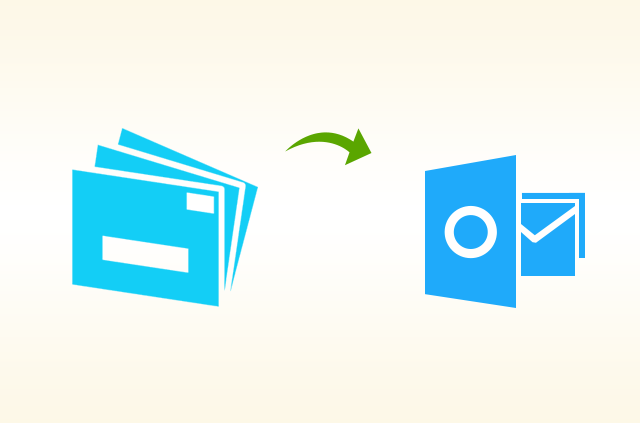 One easy way to migrate data is to transfer it in EML format and then import in Outlook. In this write-up, we will tell the users the methods to import EML files to Outlook from different email clients. Continue reading to know how to import EML messages into Microsoft Outlook from five different email clients of Windows and Mac OS. First of all, we will learn the importance of this data conversion. The popularity of Outlook is beyond any doubt, and the popularity is only increasing day by day. Among the people who are becoming clients of Outlook, many are switching to it from other email clients. These people also need to export data from their previous email. EML is a common format that is supported by multiple email clients. 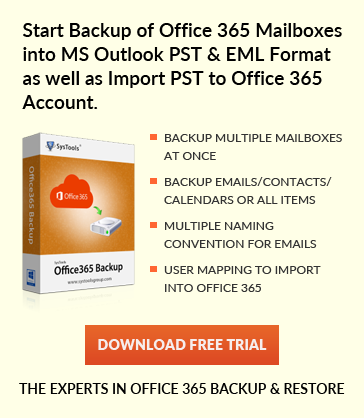 In users are aware of the techniques of importing EML files into Outlook, it will solve the issue of exporting data from different email clients into MS Outlook. So, without killing our precious time lets understand the solution of how to import EML Messages into Outlook 2007, 2010, 2013, 2016, 2019 versions. For this discussion, we have chosen five Windows and Mac OS compatible email clients. In order to transfer EML data into Outlook, users have to export the data in EML format at first. Then, they have to import them in MS Outlook. Since the methods of exporting emails in EML format vary depending on the email client, we will show you how to export EML data out of those email clients. Later, we will discuss the process of importing EML files into MS Outlook. Outlook Express is a discontinued email client. Its data can be transferred into MS Outlook 2016 and other versions by exporting the data in EML format. Enable offline mode by clicking on File>> Offline. Select the folder you want to export. Now, choose the email you want to extract. To select all messages, select one message first, and then click on Edit>> Select All. The forward button will be visible and you have to click on that. All the selected messages will become attachments of a newly created email. Add some description of the attached emails. Now click on File>> Save As in a folder of your chosen location. This file will be saved in EML format. Close the message in Outlook Express without saving it. IncrediMail also supports saving its email in EML file format for easy Outlook migration. Open IncrediMail on the system. Select the email you wish to migrate. Click on File>> Save as. Save the email on your desktop. You will see that the email has been saved in EML format. Open eM Client and click on File option from the Menu. Choose Export from the list of options. Now, select the option Export to .eml files. Click on Next button. At this stage, select the folders from which you have to export the data into EML format. Click Next. Click on the Browse button to choose the destination folder of the EML files. In order to extract Thunderbird data in EML format, ImportExportTools add-on has to be installed in your Thunderbird. If it is absent, download it by opening Thunderbird and clicking on Tools>> Add-Ons. Then select the Extensions tab and search for the add-on and download it. Click on File>> Offline>> Work Offline. Click on Download Now button to update all the folders. Navigate to the main window of Thunderbird. Now, select the folder whose data you wish to save in EML files. Press CTRL to select multiple folders at once. Right-click on the folder and hover the cursor over ImportExportTools option>> Export all messages in the folder. Then, click on EML format. Note: – Users have to select the sub-folders separately to export data located in sub-folders. Now, users have to select a destination folder to save these EML files. Click on OK on the message that will prompt to confirm your command. Email of Mac supported Apple Mail can also be exported in EML files and then transferred into a Windows system to open in Outlook. Open Apple Mail on Mac machine. Select the email you wish to transfer. Drag that email and drop it on Finder. That Apple Mail email will get saved in EML format. Transfer this EML file in Windows system and drag and drop it in Outlook. Note: – All you have done above, just created a .eml files of your all emails from different email clients. Now its time to know the methods to import resultant EML files into Outlook. If the users have a bunch of orphan EML files, they can take to help of Windows Live Mail to export that data directly into MS Outlook. Follow these steps to conduct that data export. Open the folder that contains EML files. Open Windows Live Mail. Here, create a new folder. Resize these two windows that so that both share the screen at the same time. Now drag & drop the .eml files one by one from Explorer window into the newly created folder of Windows Live Mail. When the data export process is done, click on File >> Export email >> Email messages. Select Microsoft Outlook>> desired Outlook profile>> OK. Soon, Outlook will open in the background. On the next dialog box, choose the Windows Live Mail folder that contains all the EML files. Click OK. When the export is done, click Finish. The techniques shared here are manual methods to transfer EML files into Outlook. Therefore, these methods may malfunction at any time. In case these approaches do not work and users are looking for an easier method, they can go for EML to PST Converter for Windows. This application will import EML Files into Outlook supported PST format. Later users can seamlessly import the PST file in Outlook. Apple Mail users can take the help of Mac EML Converter for the same conversion process. By reading this post, users learned ways import EML files to Outlook. The manual techniques of transferring EML files into Microsoft Outlook created in five email clients into MS Outlook have also been depicted here. Approach to import orphan EML file to MS Outlook has also been discussed. For situations, when these methods do not work or users look for an easier and better way to export data, two robust applications got introduced. Since these programs are chosen by the professionals, users can opt for these without any worry. Now your query how to import EML messages into Outlook 2019, 2016, 2013, 2010, 2007 etc. has been solved.